Nauru was first settled by Polynesian peoples around 3,000 years ago. The first contact with Britain was when British Captain John Fearn, a whaler, visited the island in 1798, and named it Pleasant Island. From around the 1830s, Nauruans had contact with Europeans from whaling ships and traders who replenished their supplies at the island. Around this time, beachcombers and deserters began to live on the island. The islanders traded food for alcohol and firearms; the firearms were used during the 10-year war which began in 1878 and resulted in a reduction of the population from 1400 to 900 people. The island was annexed by Germany in 1888 and incorporated into Germany's Marshall Islands Protectorate; they called the island Nawodo or Onawero. The arrival of the Germans ended the war; social changes brought about by the war established Kings as rulers of the island, the most widely known being King Auweyida. 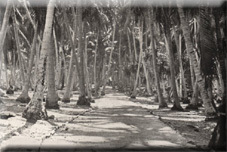 Christian missionaries from the Gilbert Islands also arrived on the island in 1888. Phosphate was discovered on the island in 1900 by prospector Albert Ellis and the Pacific Phosphate Company started to exploit the reserves in 1906 by agreement with Germany; they exported their first shipment in 1907. Following the outbreak of World War I, the island was captured by Australian forces in 1914. After the war, the League of Nations gave the UK a trustee mandate over the territory, which it agreed to share with Australian and New Zealand in 1923. The three governments signed a Nauru Island Agreement in 1919, creating a board known as the British Phosphate Commission (BPC), which took over the rights to phosphate mining. Nauru was captured by the Japanese during World War two from 1942 to 1945. They deported a large number of locals as slave labourers - mainly to the island of Truk. After the war, the United Nations gave the UK, Australia and New Zealand a further Mandate. Australia agreed to run the Mandate on behalf of the three signatories. 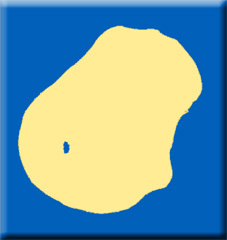 Nauru became independent in 1968.